Crescent Moon Eva All-Foam Snowshoes. Snowshoes have been around for 5,700 years. But this year Boulder, Colorado–based Crescent Moon has made the world’s first all-foam version. Velcro bindings keep your shoes strapped to a teardrop-­shaped platform made from two layers of ethylene-vinyl acetate, or EVA, the same stuff used to fashion flip-flops. 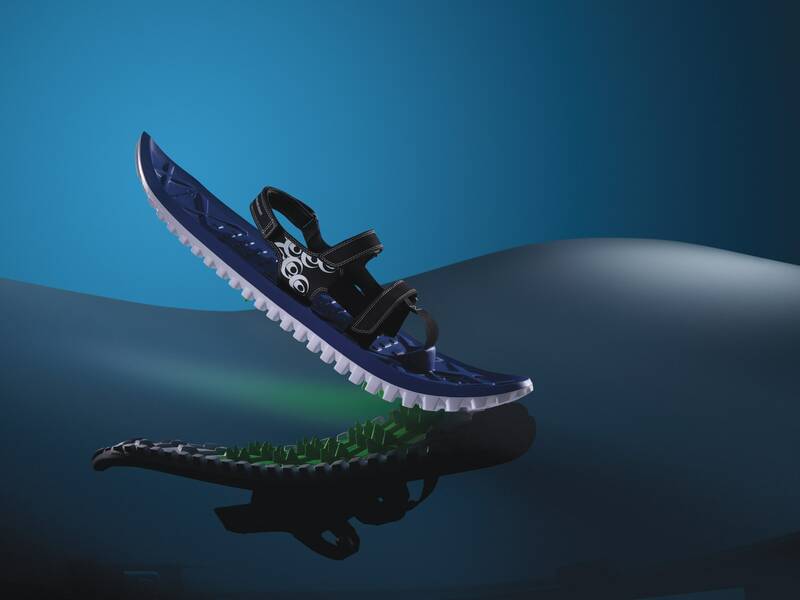 The snowshoes might look low-tech, but the combination of cleats and tire-like treads provide ample traction, especially on hardpack trails. Not sure you’re the snowshoeing type? Company cofounder Jake Thamm is confident this design will change your mind. “I would describe it as a gateway drug,” he says. So the next time the trails behind your house look impassibly piled with snow, you know what to do.